Content Marketing for the Dogs! You are here: Home / Content Strategies / Content Marketing for the Dogs! A former client recently referred us to some friends of his who operate a premium dog kennel in Pittsburgh, PA. Along with providing onsite optimization strategy for their main website (which is still underway), we’ll be providing our platform of content marketing sites for these dog lovers to launch a series of informative and educational materials while softly promoting their business. Each week, the dog kennel staff will be putting their creative pencils to the paper (or, more likely, fingers to the keyboard) and cranking out 350 to 500 word promotional/educational articles helping dog owners more effectively care for their canines while simultaneously spreading the word about their Wexford dog care, their luxurious dog boarding and their top notch doggie grooming services. A Dog’s Day at K9 Kingdom: This article humorously depicts a typical day for the doggie while staying and playing in their Pittsburgh dog kennel. 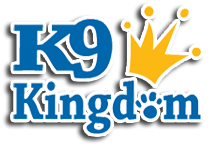 K9 Kingdom Doggie Care in Wexford: This article is more of an informative infomercial helping newcomers understand what to expect when they first bring their dog to the daycare. Dental Hygiene for Your Dog’s Health: Everything you wanted to know about taking care of your pouch’s teeth. Just whip those toothbrushes out and get to work! Checklist for Summer Travel with Your Dog: Getting ready to travel? Here’s what you need to know and what you need to remember not to forget to pack! (For your dog, of course). We’re looking forward to other content marketing articles these dog lovers will send us! And, putting a plug in for ourselves, if your business would like to spread the word about your products or services through content marketing, we’d love to work with you. We have two copywriters on staff who can write professional pieces – both for your own websites and blogs or for our content marketing sites or any other article hosting sites. If you prefer to have your staff write the articles, we can work with you and offer professional editing services as well as a platform on which to launch your content marketing articles. We can include our stock photography or use pictures you provide.